The Internet is a crazy place. For the latest example, look at the story of Matthew Inman, creator of the popular web comic “The Oatmeal.” Last week, coinciding with the timing of President Obama’s “State of the Union” address, Inman published his “State of the Web” comic (hilarious, by the way). In one of the panels, he references the infamous day that Tumblr went down for more than 12 hours, robbing thousands of bloggers of the ability to update their sites. 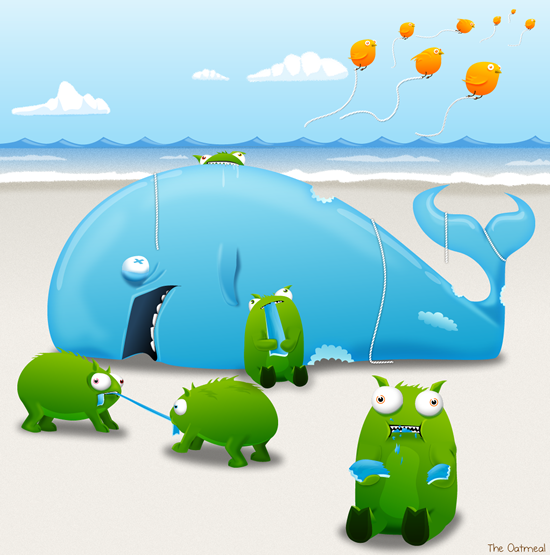 He suggests blaming future outages on an imaginary animal like Twitter has previously done with the “Fail Whale.” His suggests adopting his newest creation, the TumblBeasts, as the face for future outages. 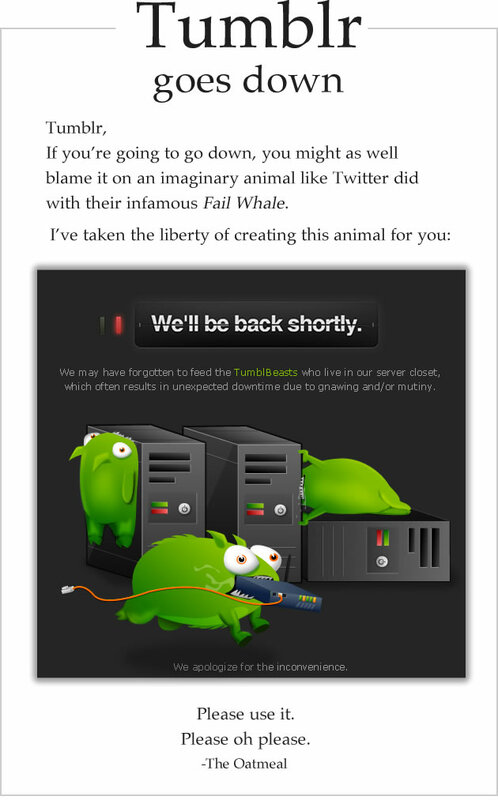 Four hours later, the head of Tumblr contacted about Inman about using the “animal” for the official 503 error page. Inman agreed, and Tumblr renamed them “Tumbeasts.” The story was picked up by national media. Today, he posted another comic, which both celebrates and pokes fun at his newest creation. Keep drawing dude!